Decorative wall plates are a wonderful way of decorating the plain walls because beautiful walls make a beautiful home. Walls essentially enhance the décor of the rooms by adding warmth and love to our personal spaces. As a homemaker, one should give particular attention to embellishing walls and there is no better way of doing so than with attractive wall hanging plates. You can find plates in different shapes, painted in different colors and arrange them on the wall. Indiavaale is an online store that offers a beautiful range of designer decorative wall plates that can look very chic and modern offering a rustic feel with a contemporary twist. These wall plates are handcrafted by artisans from villages keeping the Indian art and customs alive. They craft these decorative wall plates with passion and remarkable precision that lends them a luxurious feel. Indiavaale offers a variety of handcrafted designer decorative wall plate hangings in ceramic that can turn empty walls into tasteful art. They are an incredible combination of modern and ethnic home decoration handicrafts. Decorative wall plates at Indiavaale are an easy replacement of paintings. 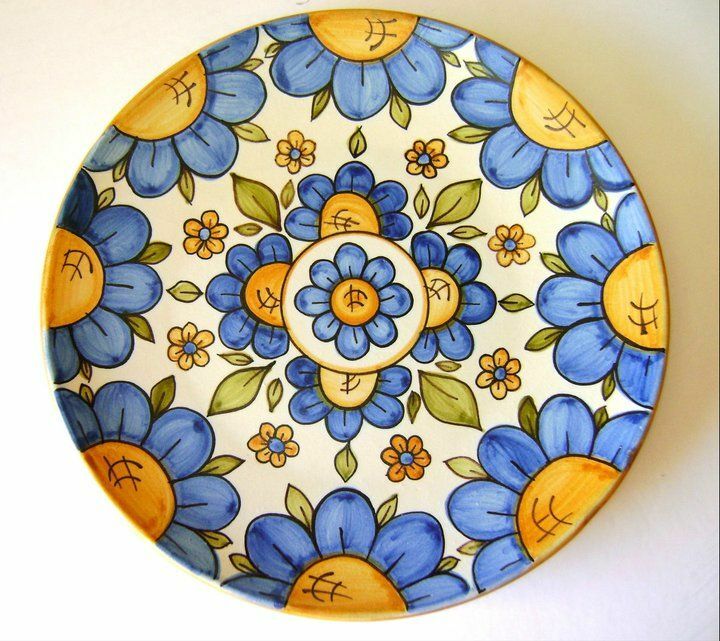 These ceramic wall plates online in India are light in weight and mobile. You can hang them effortlessly on the walls. Cleaning these decorative wall plates is not a difficult task. You can lightly dust with a dry cloth and bring back its original shine. Give your home a perfect decor style with these attractive wall hanging plates. Few people think about decorative wall plates, but these daring dishes can make a bold impact and offer a defining contribution to a room’s interior design. These delicate dishes from Indiavaale have become popular collectibles among Indians who love to give a classy yet rustic appeal to their homes. They view these decorative wall plates as a rarity and beauty. These meticulously painted decorative wall plates are not only a perfect fit for every space, but they are also expressive, dimensional art pieces that can help personalize a home beautifully. Explore your options of small and large decorative wall plates by taking a closer look at we have in store for you online at Indiavaale.